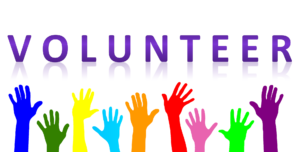 Volunteer – Laurel Legal Services, Inc.
Laurel welcomes those who wish to volunteer time and services in helping our clients obtain equal access to justice, particularly attorneys and law students who can assist our attorneys in representing clients before judicial and administrative bodies. We also welcome trained paralegals as volunteers. We can be flexible in work schedules and can work with you to determine the site that best fits your needs and area of expertise. Volunteer law students currently provide thousands of hours of help to our clients under the direction of our attorneys on such legal issues as Protection From Abuse, landlord tenant, employment law, and bankruptcy. Internships for law students, both during the school year and the summer, introduce students to the practice of poverty law through hands on experience.